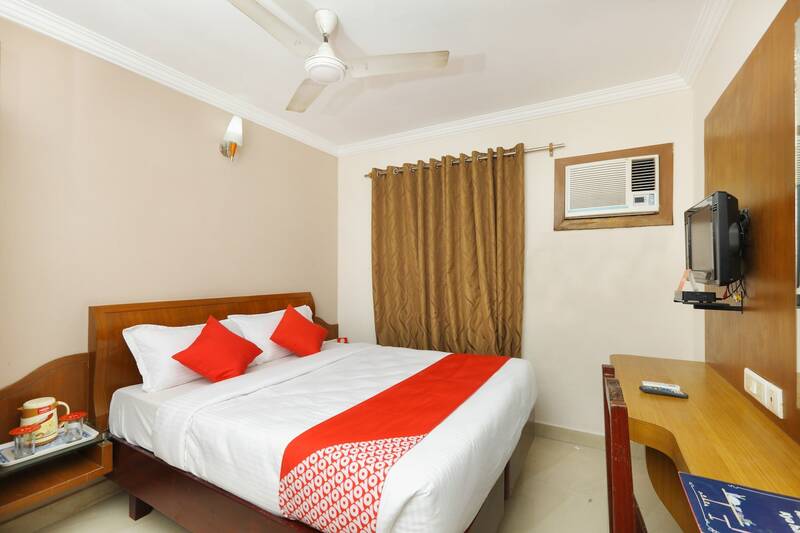 Hotel City Manor is located in Kamaraja Nagar and offers a decent and comfortable place to stay for those travelling to Chennai. The rooms are simple and modestly furnished with wooden furniture. The curtains add an elegant and colourful touch to the room. The spaces are well-lit and cosy, which keeps the travellers at ease. The hotel has a seating area with cushioned sofas to make the guests feel comfortable. There is parking facility offered by the hotel and it accepts card payments to facilitate easy transactions. CCTV cameras are also installed to make the campus secure for the guests.